It improved the speed of my site significantly, reducing the page loading times to appropriate levels, but there were a few times when some of their CDN nodes would fail. One of my projects, ancient-origins.net, gets 3 million views per month, so serving the page fast is an important element. Using the CDN of Cloudflare improved the speed significantly, reducing the page loading times to appropriate levels. Additionally their security features make sure to block attacks on our site. Their CDN features, although good, still lack in speed in comparison to their competitors (e.g. Incapsula, MaxCDN, etc.). I've been using it for almost one year. No issues with the deployment. Their process is pretty simple and fast. Yes, there were a few times when some of their CDN nodes would fail, creating serious speed issues with the site without any warning or notification from their side. Also, many times, even if our server is working properly, Cloudflare would report it as being down. No scalability issues so far. I would give them a 9/10. They respond pretty fast to requests. I would give an 8/10 to their technical support. We haven’t had many issues, but when we do, it appears that sometimes they are not willing to look deeper into them to try and find a solution. We used MaxCDN, but we switched to Cloudflare because MaxCDN lacks security features. The initial setup is pretty straightforward and doesn’t require any technical knowledge, since everything is done on their site. The implementation was done in-house, since it is a simple process. This is difficult to calculate; however, improving the page loading speed always impacts the traffic on a site positively. The original setup cost was zero, and the monthly cost is around $30 for three sites using the Business Cloudflare plan. We evaluated MaxCDN and Incapsula. 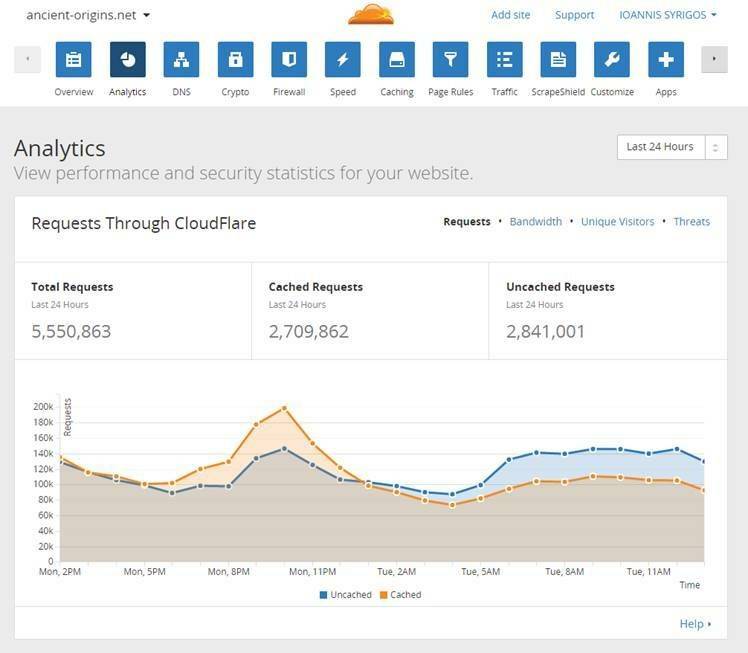 If your budget is low, then Cloudflare is the only cost effective solution, at least to begin with. The best combination of CDN and security features at a low price. At a slightly higher budget, Incapsula may be a better solution especially since they provide a faster CDN and better security features. Download our free DDoS Report and find out what your peers are saying about Cloudflare, Incapsula, Sucuri Security, and more!